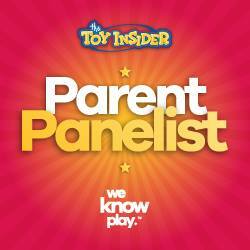 During The Toy Insider's Holiday of Play event unveiling their annual hottest toy selections, each of the members of the Parents Panel were asked to spotlight a favorite toy from the list. My selection is Play Monster's Roominate Cotton Candy Carnival. 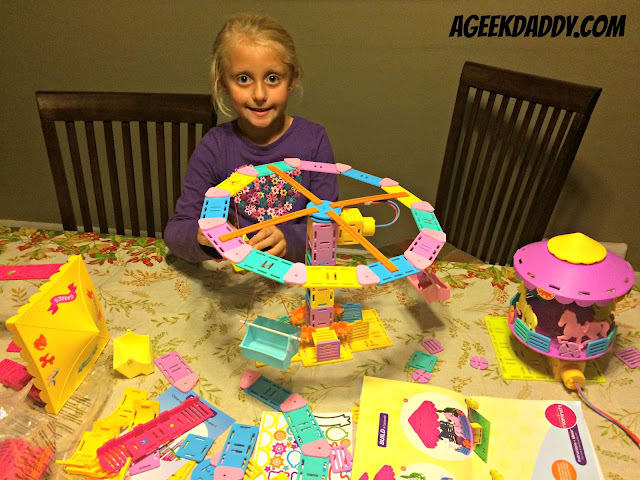 I'm a big fan of toys that combine educational components with entertaining elements so that kids are learning and having fun at the same time. 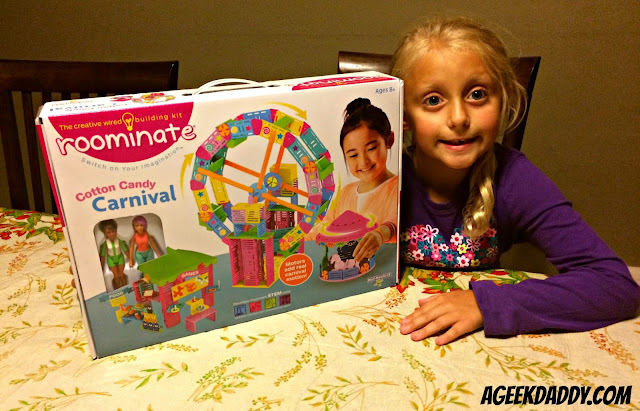 Roominate construction kits fit that mark perfectly as they are specifically designed to inspire girls to have an interest in STEM (Science, Technology, Engineering & Math) concepts through being able to construct doll houses, vehicles and in the case of the Cotton Candy Carnival playset actual working amusement park rides. 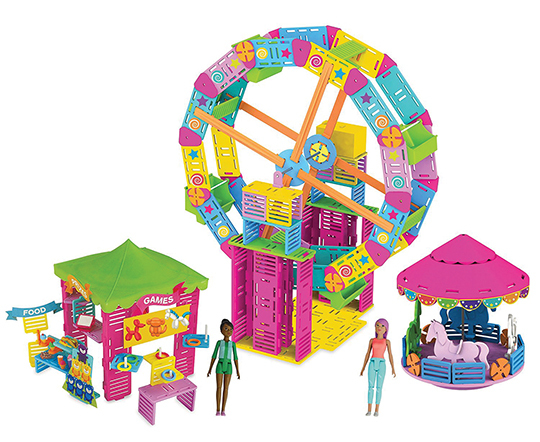 Using circuits, motors and modular building pieces, girls can build and create their own unique and original structures or vehicles that can be joined together or taken apart and remade into something completely new and different every time they play with Roominate toys. As the father of a daughter whose aspirations and dreams I want to be limitless these toys that inspire girls creatively and intellectually are appreciated. 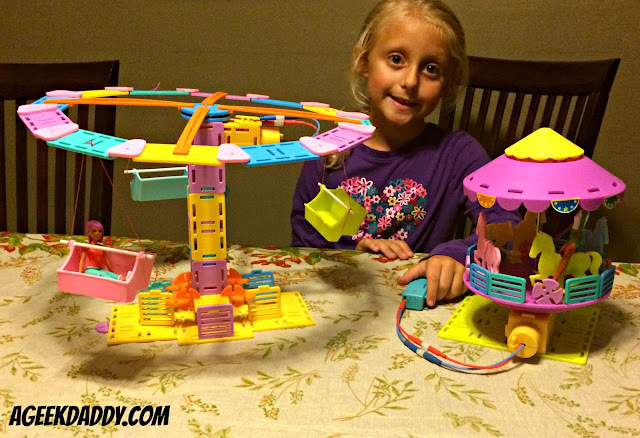 Roominate construction kits let girls build the world they want to play in! I had the opportunity to meet Alice Brooks at The Toy Insider's Holiday of Play event, who along with her Stanford roommate Bettina Chen, created Roominate toys. The two engineers met while earning their Master’s degrees and they found that their interest in engineering had mutually been born out of their love of toys. The two women created Roominate to inspire girls to maintain an interest in building, innovating, and learning about the STEM fields as they grow up. They pitched their idea on the television show Shark Tank and gained a new partner in their efforts as Mark Cuban invested in their company. Cuban assisted with selling the women's company to established toy company Play Monster which has established Roominate products as its own designated toy line within the company. 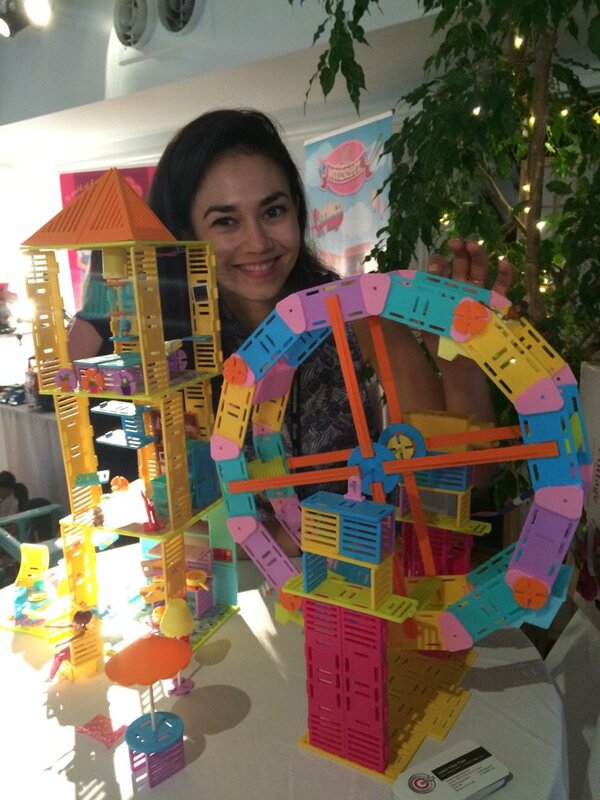 With the Roominate Cotton Candy Carnival, kids can design and build amusement rides for the two included dolls, Bettina and Jenna, to enjoy. 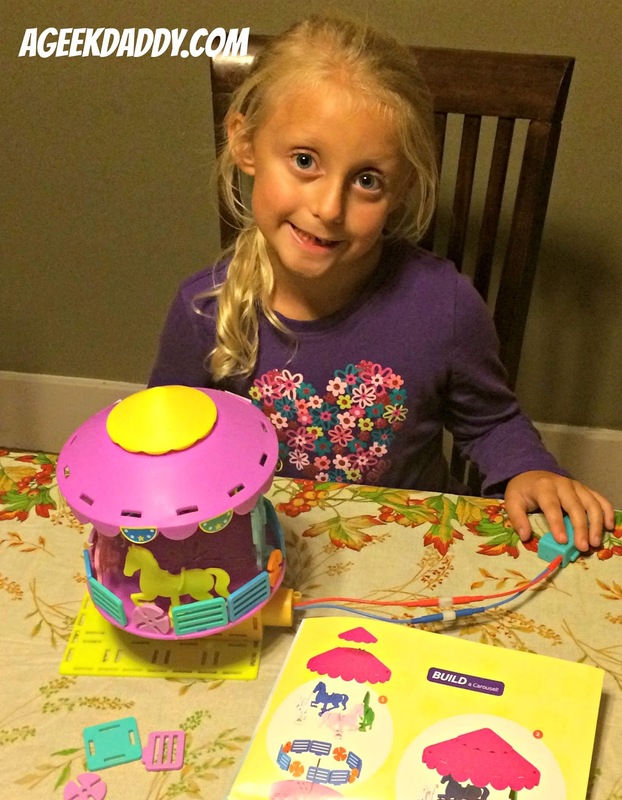 An enclosed motor that doesn't allow its parts to be exposed for safety and durability reasons, allows children to build battery a powered functional carousel, giant swing or ferris wheel for Bettina and Jenna to ride on. A personality profile for each of the dolls is also included, which features the character’s hobbies and favorite foods, as well as favorite scientists and career aspirations to give girls a nudge towards being interested in a STEM-based field. Stickers are included so that kids can decorate and personalize their Cotton Candy Carnival that in addition to the dolls and amusement rides also allows for a game tent and snack booth to be built. While Roominate toys are marketed to girls, my son also really enjoyed joining his sister in playing with the Cotton Candy Carnival. 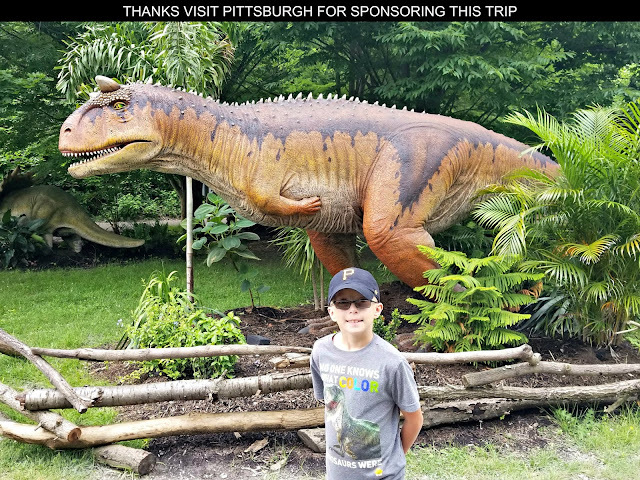 This fun carnival theme and demonstrates to kids that, while riding a ferris wheel or carousel can be fun, so can the experience of being involved with building these attractions. For introducing STEM topics in an amusing way, the Roominate Cotton Candy Carnival gets gets A Geek Daddy nod of approval. The Roominate Cotton Candy Carnival is available at Amazon, Fat Brain Toys, Kmart, Toys R Us, Walmart, and through playmonster.com. It requires 2 AAA batteries that are not included. The toy is recommended for children 8 years old and up. From our experience parental involvement may be necessary in assisting younger children with building some of the more advanced projects within Roominate construction kits. 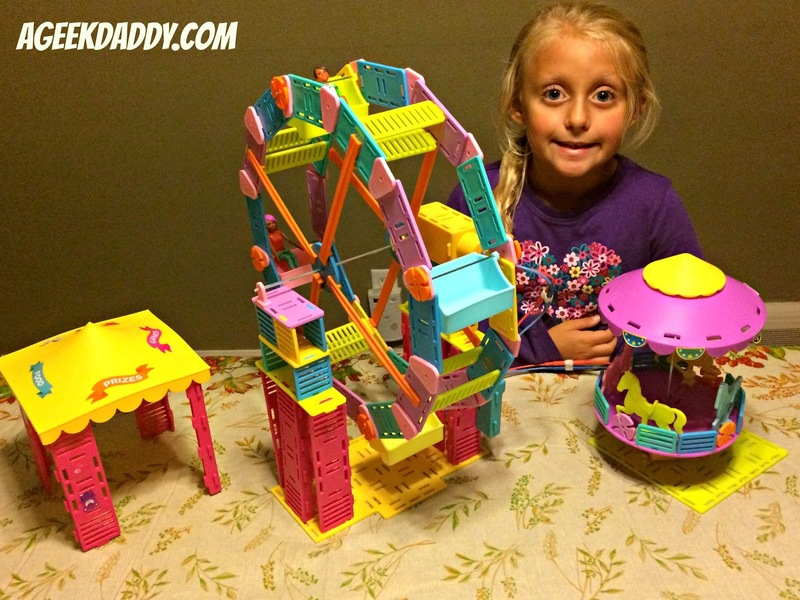 In addition to the fun of playing with this motorized toy set, kids will equally appreciate the satisfaction that they built the functioning carnival rides themselves.